01. Melt butter and add to flour, coconut and sugar. 02. 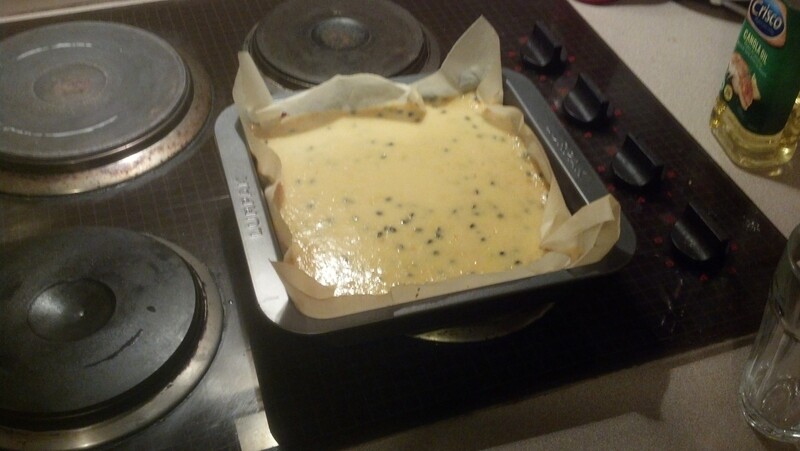 Mix well and press into 20cm x 30cm slice pan. 04. Topping: Combine all ingredients and pour over base. 05. Bake in a slow oven for 10 minutes. 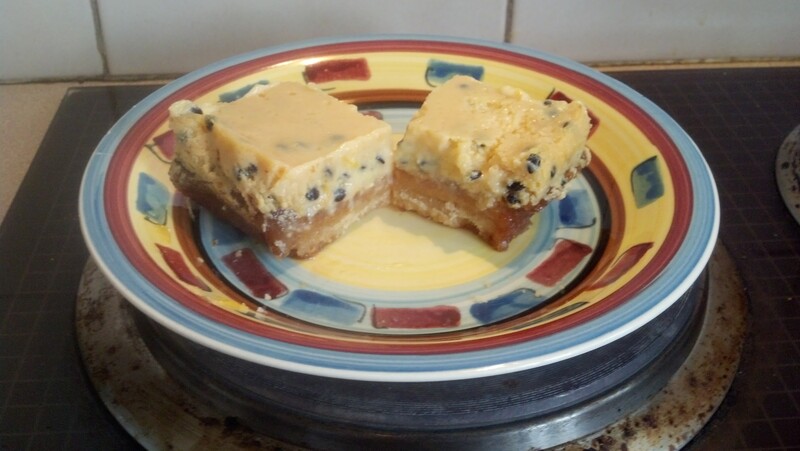 I’ve never tried this recipe before (it was recommended to me) and instead of using passionfruit, I used passionfruit pulp (in a can). The result were that I over baked the biscuit-base a little and the topping was a little too gooey for my liking, however it still tasted good.